Bem-vindos a Escola de Espanhol Lingua Plus Pucon, o lugar ideal para você aprender Espanhol no Chile. Are you looking for a school to learn Spanish? Learn Spanish where the fun is, in contact with the people and nature. Intensive Spanish courses for backpacker and travellers designed for travellers who want to get a solid base of Spanish for their adventures. Immersion programs with family homestays. 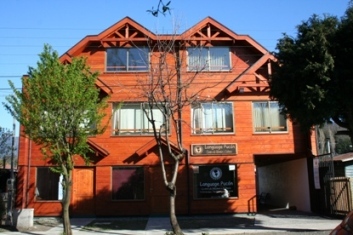 Several weeks Spanish Courses or city combinations where you study Spanisch in Pucon and Santiago or Bariloche, Spanish course including accomodation or seasonal offers for Spanish courses. On Lake Villarrica, sourrounded by 2 National Parks, one of the most beautifull spots in Chile. Why would you like our Spanish courses? You advance much faster in 1:1 than in group settings. Individualized courses make it possible to teach the same concepts and amount in a far shorter period, saving you time and money that can instead be dedicated to travelling. On the lakeshore, amongst National Parks, Pucon is the center for all kinds of outdoor experiences. 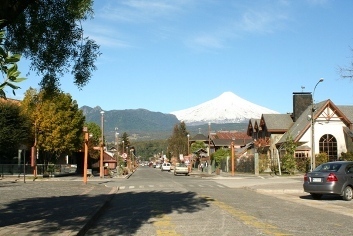 Within one hour you walk the virgin forests of National Park Huerquehue, ski the slopes of Villarrica volcano or soak in one of the many natural hotsprings. Amongst the friendly Chileans, the "sureños" are the most outgoing and openhearted. All our teachers have years of experience teaching Spanish to travellers, We share your passion of discovering Chile and will make your stay and learning Spanish part of your travell experiences. Individual classes let you boost your knowledge much faster than group classes and teach you exactly what you need for a deeper understanding of the country your travelling. Meanwhile our team still works on the video Präsentation you can enjoy the most beautifull video ever made about our amazing country. © 2000 - 2018 Lingua Plus Pucon, learning Spanish in Chile - - based on a design byShapeBootstrap.